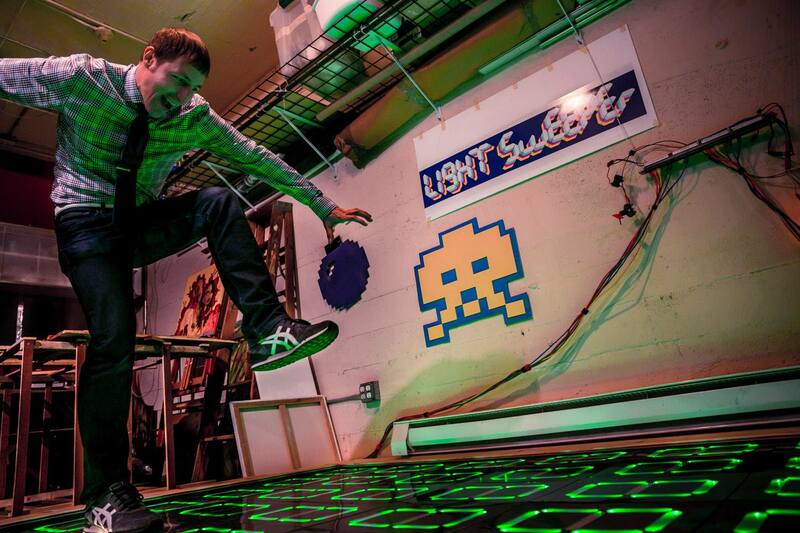 LightSweeper is a light-up dance floor that you can also play games on. Stepping on the pressure-sensitive tiles triggers lights and sounds, allowing you to play fun games like giant Minesweeper. The LightSweeper project debuted at Critical Northwest in 2014 and since then has appeared at both Burning Man and Critical Northwest 2014, 2015, and 2016, as well as at Soak in 2016, and at various smaller events around Seattle. We are working occasionally to improve the hardware, software, sound, and surroundings that contribute to this unique immersive experience.